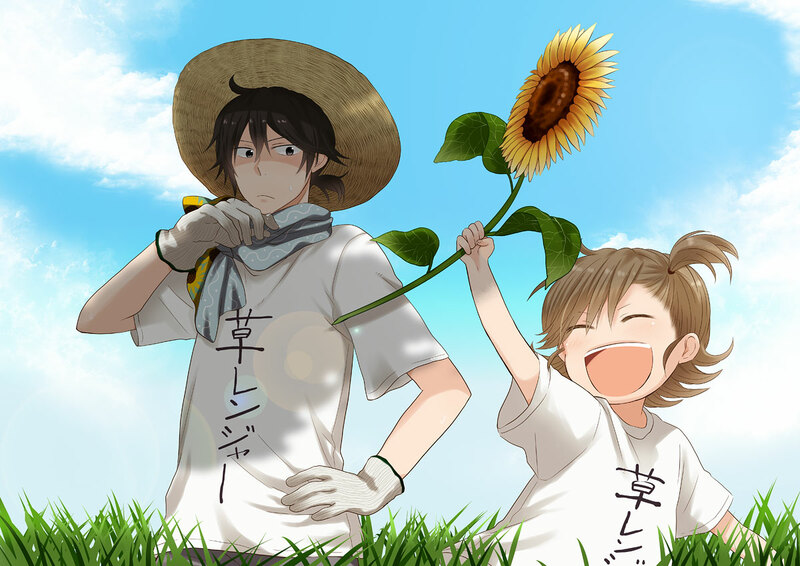 Barakamon aired during the Summer Anime Season 2014. For a split second, I wondered why I hadn’t watched it. Then I remembered that I had just introduced into the world a baby anime fan. I’ve started watching it during the Winter Anime Season and it leaves me wanting for childhood and summer. The ending theme “Innocence” by NoisyCell solidifies this nostalgia. The song combined with the show evokes a combination of feelings: sadness, joy, regret, and love which embodies nostalgia. It’s not a new storyline: guy is redeemed by the village people and their charm. The main character, Saishu Handa, is not a character we haven’t seen before. But I haven’t seen one who was a pro calligraphy artist. That was new for me. The show was also able to clearly invoke the feeling of summer and warmth within me during a cold season. The art is whimsical and I could feel the sun upon my skin and the water splashing on my face. I felt the joy of being let out of school for summer vacation all over again. I used to look forward to summer every year as a child. I still look forward to it but not with the same anticipation and excitement. This show rekindled that feeling in me if only for a little while. I’m also a sucker for little children playing happily and enjoying life. I don’t see children being children much these days and Barakamon captured their innocence and love of life seamlessly. There are times that I feel sadness that I will never be able to relive my childhood. Regret that I didn’t enjoy it as much as I should have. Joy because there were a lot of fun times very similar to some of the scenes in Barakamon: catching bugs, jumping in a pool (when I couldn’t swim), getting lost in the woods, crushing on an adult male, and doing very unsafe activities. Barakamon wasn’t exactly a coming of age story but it was a very similar story; finding yourself when you’re already an adult. This particularly hit close to home as I am on a personal journey in finding myself again. I don’t have the option of spending time away in a beautiful village by the water like Saishu. But I will find my own way. If you’re on a personal journey, I wish you the best.